← University rankings are fake news. How do we fix them? 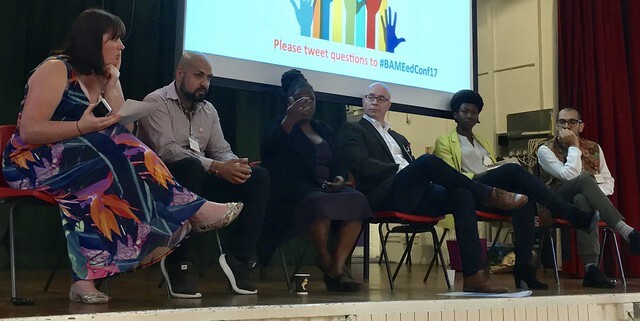 At the beginning of June I attended the first BAMEed conference. It was an unexpectedly memorable and inspiring occasion. Though billed as an “unconference” – a sort of self-organising gathering that fills old fogies like me with horror – the one-day meeting had in fact been meticulously planned. It was the brain-child of a newly-formed group of Black, Asian and Minority Ethnic educators (hence ‘BAMEed’) – Amjad Ali, Allana Gay, Abdul Chohan and Penny Rabiger – all of whom are or were teachers at primary or secondary schools. The attendees were themselves mostly primary or secondary school-teachers and mostly also black, asian or minority ethnic. I had the unusual and instructive experience of being in the minority. The theme of the meeting was unconscious bias, a topic that has been moving up the agenda in higher education thanks in part to the ascendancy of the Athena SWAN charter. I know because I have attended a lunchtime workshop on it. But here, the subject was treated in greater depth, not least because of the breadth of lived experience that the speakers brought to it. Four weeks on I am still absorbing the many lessons from that sunny Saturday in Birmingham, but let me offer a few highlights. First up was keynote speaker Professor Dame Elizabeth Anionwu. She told the story of her complicated upbringing as the unexpected child of Cambridge students, a Nigerian man and a white Catholic woman. With wit and candour she spoke of the cruelty she endured from nuns in her care home and from a drunken step-father, of discovering and getting to know her Nigerian father, and of the sheer bloodymindedness that propelled her through careers in nursing and academia. Professor Damien Page* followed-up with a talk on unconscious bias training in schools and universities, cautioning that it has to be done thoroughly if it is not to be counter-productive. Most training communicates that biases are ‘naturalʼ and therefore risks providing people with excuses to discriminate: “everyone is biased, so I shouldnʼt be worried that I am too.” It is important not to distract people from structural and historical discrimination. For me one of the most interesting presentations was given by Professor Paul Miller, who introduced the notion of “white sanction”, a concept he has developed in a recent paper surveying the experience of black and minority ethnic staff in secondary and higher education. “White sanction” expresses the idea that BAME staff need white allies (or champions), or feel obliged to ‘join the clubʼ, to progress in their careers. Such allies can play a valuable role, at least in the transition to true equality, but Miller recognised the difficulty of the position. Some members of the audience expressed understandable resentment at the notions that allies or conformity are needed since these seem to legitimise existing power structures. In the view of many, the existence of “white sanction” is seen as a symptom that we lack a functioning meritocracy. I agree, though I’ve certainly come across dissenting views in academia. Miller argued itʼs better to focus on the structural problem to avoid the risk of calling out all whites as racist and putting even ‘alliesʼ on the defensive. His paper explores these ideas in more detail, where he defines four levels of institutional interaction with BME staff: engaged, experimenting, initiated, uninitiated. I wondered on Twitter where on the spectrum Imperial College, my own institution, might lie. Though I only got two answers, the indications are that we have work to do. In the afternoon, Dr Christine Callender noted the glacial pace of change in opportunities for ethnic minorities by citing a call for action in the 1985 Swan Report on BME education, and a more recent one in a pithy article by Kara Swisher earlier this year that bemoaned the “mirror-tocracy” perpetuated by white men in the upper echelons of tech giants like Uber and Google. Real change has to come from engagement the top, insisted Callender, if institutions are to convert aspirational statements into action. The plenary sessions were interspersed with short workshops – I attended the ones on recruitment and building diverse teams, led in each case with informed passion by Patrick Ottley-O’Connor and Hannah Wilson – and the day was rounded off back in the main hall with a panel discussion (see photo above). As valuable as the talks were, the most memorable aspect of the meeting was the hearing the stories of teachers who have been short-changed by the status quo. None spoke intemperately, even in cases where there was just cause. Instead, there was a gritty and positive determination to tackle the problem head on, so that we all might do the right thing. Of course, none of this is new to the people involved, but it was a powerful reminder to me of the value of unfiltered testimony. The BAMEed Network has no need of my approval, but they have it anyway. *Who bore an uncanny and distracting resemblance to my younger brother. Sounds extremely interesting — and I wonder how open academics in the US would be to such a discussion. In the corners I see we’re still firmly entrenched in tokenism, which is unwittingly, I think, reinforced by the funding agencies’ encouraging a butterflies-on-pins approach: here are all my black students, here are all my Latino (definitely not Latinx) students, etc., rather than asking questions about the environment and the students’ experience and how the students are doing some years on. And the white-sanction business can very easily turn into the same thing, with white male senior faculty member winning points for white-knighting junior minority faculty (and becoming rather annoyed if the junior faculty in question aren’t receptive). But, just as you say, the fear of upsetting allies is real, also revelatory. It’s also interesting that you were there — what prompted you, if I may ask? Part of the problem with such conferences is that they’re often perceives as being for X people about X people problems, so exactly the people who need to be there stay away. It can be a visceral thing, being alone or in a small minority amongst a group of powerful people whose culture or shared experiences are quite unlike yours, and my guess is that a fair number of people who currently insist that their worlds are strictly meritocratic would find themselve a bit panicked in such an environment, and maybe amenable to imagining how they would feel if their professional worlds were full of such people senior to them. I suspect there’d be some who found themselves uneasy and suddenly feeling things weren’t fair, that they’d never get a fair shot. Which would be a long step by itself. Also interesting at your conference was the mix of story and research. That’s rare, isn’t it, scholars of a topic willing to share the stage with people who have firsthand experience and are articulate about it. A colleague suggested the meeting (I’m currently chair of the Equal Opportunities Committee in my dept). There weren’t many HE academics there among that audience (I met one other). While diversity & inclusion are rising up the agenda here, we still have a long way to go – if more of us heard more of these stories first hand, I think things would move faster. (p.S. Sorry for the delay – thought I had posted this comment a few days ago but only just realised that an error had occurred).